Thirsty Sherlock Holmes fans look no further than this homage to the great detective himself and to original Victorian pubs. While you indulge in a soothing pint of Sherlock Holmes bitter, black and white films featuring the fictional sleuth blare out from an old television in the corner. Boasting a fantastic, original Victorian facade, the pubs interior is less impressive in terms of original Victoriana, however upstairs you'll find the museum's focal point - a perfect reproduction of an original Victorian sitting room complete with Sir Arthur Conan Doyle portrait above the fireplace. When it comes to Conan Doyle-related memorabilia this place is hard to beat. Down in the bar, a stuffed bloodhound's head glowers from above, while a wax replica of Sherlock Holmes contemplative visage complete with a gun wound (acquired in The Empty House) provides a more reassuring presence. With an unrivalled collection of artefacts, a cosy bar area and old-fashioned upstairs restaurant this unusual alternative to your ordinary London bar offers an interesting evening option for full-on fans and curious sightseers alike. Deerstalkers and detectives, bloodhounds and beer, Victoriana, black and white films and museum pieces. The best pubs near London The Sherlock Holmes. The Sherlock Holmes clubs, bars, cabaret nights, casinos and interesting nightlife. 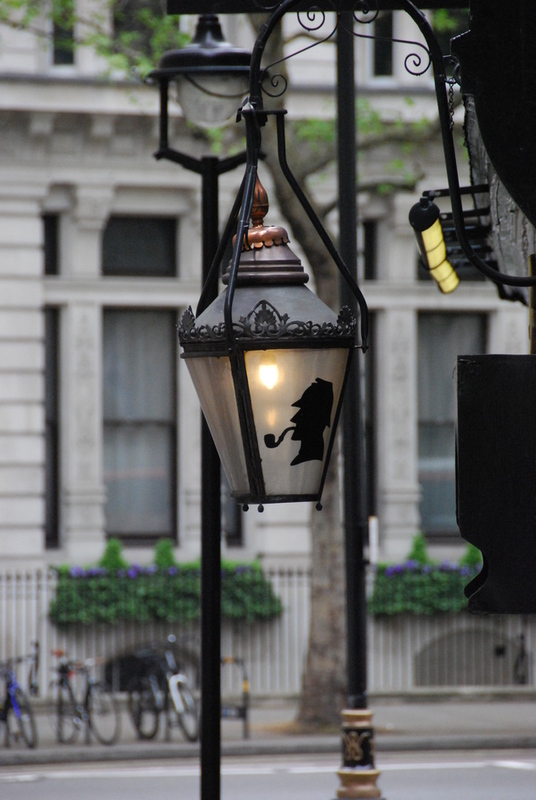 What are the best dining options near The Sherlock Holmes London? The Sherlock Holmes gyms, sporting activities, health & beauty and fitness. Where to have your meeting, conference, exhibition, private dining or training course near The Sherlock Holmes. From cheap budget accommodation to luxury 5 star hotels see our deals for The Sherlock Holmes hotels, including The Trafalgar St. James London, Curio Collection by Hilton from 81% off.